Chance, Chicken Nuggets & Changing the World! 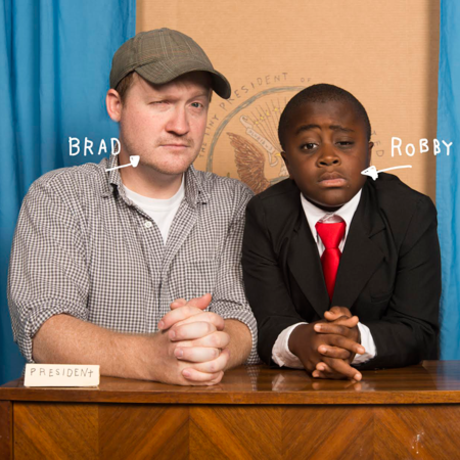 Brad Montague and Kid President took a chance on making the internet a happier place and it worked. Brad Montague is on a mission to help kids help people. As the creator of Kid President, the popular web series that has been viewed more than 34 million times, he writes, directs, and produces content viewed and shared all over the world. He created “Socktober”, an initiative designed to activate people to help their neighbors who are homeless. This year “Socktober” spread to all 50 of the United States and all 5 continents. He is also the director of GO! Camp, a week-long experience in the summer for junior high and high school students who want to change the world and co-founder of Love In Stereo, a collective of creative people who want to make things that matter. He and his wife, Kristi, live and work in Henderson, TN as the proud parents of Miles, who is almost two. He loves old movies, gas station egg rolls and new friends.